What were the take home learnings from Osstell Scientific Symposium? Dr Marcus Dagnelid: During this year's symposium we had an excellent mix of different clinical scenarios, where Osstell is proved to be the best technique to enhance both clinical outcomes but also predictability in your dental implant treatments. The lectures included basics behind the Osstell RFA technique, and how this was used in a broader clinical setting with multiple centers using immediate loading techniques. We also showed how important predictability is while dealing with regenerative protocols, where timing of loading is key. This opened up a lot of questions as to the difference between native bone and sites that are regenerated. Finally we saw state-of-the-art digital implant workflows where the clinician uses modern CAD/CAM techniques and utilizes the Osstell to finally decide which patients that receive immediate provisionals. All in all it was a very exciting symposium, which sparked a lot of interest from the audience. Talking about the audience, many asked about complex cases. Could you tell us a bit more? How do you explain the higher RFA values in grafted bone at the time of implant surgery ? The density of grafted bone is higher compared to that of native bone, thus demonstrating a tendency towards increased ISQ values. This should still be validated in more long term studies. What is the biological reason behind a high RFA value in grafted bone compared to native bone? With most xenograft materials on the market, a more compact bone structure is seen in grafted bone sites, thus showing a higher RFA value. Also this should still be validated in more long term studies. Is it reasonable to get more stability with implants placed in augmented sinus? Implants placed in sites with an augmented sinus does not generate a higher stability per se. Studies such as Buser et al show that the Osstell ISQ technique have lowered the average healing times in these clinical situaitons, compared to previous shown figures. Each case involving regenerative techniques should be treated with individual measuerements ensuring proper healing times and time of loading. Dr Eckert demonstrated that insertion torque is a design feature. What are your thoughts? Dr Marcus Dagnelid: I believe that this proves the human error of solely trusting the force applied to the bone while inserting an implant, as the primary indicator of proper implant stability for different loading concepts. Dr Eckert demonstrated very eloquently that we need more objective thinking, and while we asked the audience if they still trusted insertion torque as the key value deciding the loading protocol, 86% answered no. Dr Steven Eckert also mentioned that they are reviewing the possibility of measuring on abutment- and supraconstruction level, further facilitating and broaden the Osstell technique. Even if this is yet today not commercially available, many participants showed great interest in such a development. Digital workflow is a much discussed topic. What are the pros and cons of working with digital workflows? Dr Marcus Dagnelid: I believe that it was clearly demonstrated how adding more dimensions of our patients, not only facilitate the treatment planning but also make it safer and better. Digital Implant Workflows are for sure the future, and while using CAD/CAM software’s to optimize both the implant surgery- and prosthetics, it is still clear that evaluating each implant site with Osstell is key to gain predictable outcomes. The drawback today is still the initial investment for a lot of clinicians to gain access to these techniques; Cone Beam CT, planning software's and license costs, intraoral scanners, milling units. Another topic which was discussed was OsstellConnect, the free online service associated to Osstell IDx. What are the clinical benefits for you? 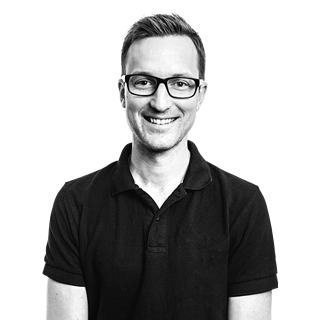 Dr Marcus Dagnelid: I believe that sharing information on a worldwide basis connects users in a unique way. This is how I spend my time as a lecturer, and always try to give away as much possible to the audience. Having a cloud solution where all values are stored anonymous generates insights for multiple clinical scenarios, thus aiding doctors with various experiences to make better decisions and making the dental implant treatment safer. I still remember when I started as a young clinician and faced a lot of questions as to what loading protocols where suitable in different clinical situations. Using OsstellConnect will help thousands of young doctors to gain confidence and connect with experienced clinicians sharing their knowledge. Thank you Dr Marcus Dagnelid for your time! 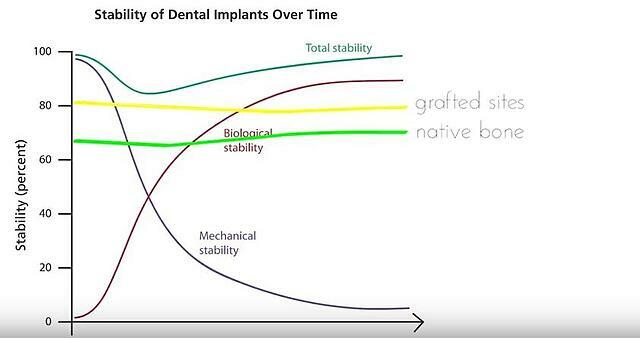 To sum up, patient focused implant dentistry is changing and protocols, especially for immediate and early loading, are being redefined to accommodate the benefits of digital planning/ diagnostic tools.There is therefore a need for an objective tool to guide and optimize the implant treatment, for complex as well as simple cases. These renowned speakers demonstrated how using Osstell improves their confidence in their treatment decisions and daily practice.